COUNTRY OF ORIGIN: Livorno/Lombardy, Italy. The origins of the Leghorn are not clear; it appears to derive from light breeds originating in rural Tuscany. The name comes from Leghorn, the traditional Anglicisation of Livorno, the Tuscan port from which the first birds were exported to North America.The date of the first exports is variously reported as 1828,about 1830 and 1852. Initially called “Italians’, they were first referred to as “leghorns” in 1865, in Worcester, Massachusetts. The breed was included in the American Standard of Perfection in 1874, with three colours: black, white and brown (light and dark). Rose comb light and dark brown were added in 1883, and rose comb white in 1886. Single comb buff and silver followed in 1894, and red, black-tailed red, and Columbian in 1929. In 1981 rose comb black, buff, silver, and golden duckwing were added. The breed was first introduced to Britain from the United States in 1870, and from there re-exported to Italy.White Leghorns that had won first prize at the 1868 New York show were imported to Britain in 1870, and brown Leghorns from 1872. Pyle Leghorns were first bred in Britain in the 1880s; gold and silver duckwings originated there a few years later, from crosses with Japanese Phoenix or Yokohama birds. 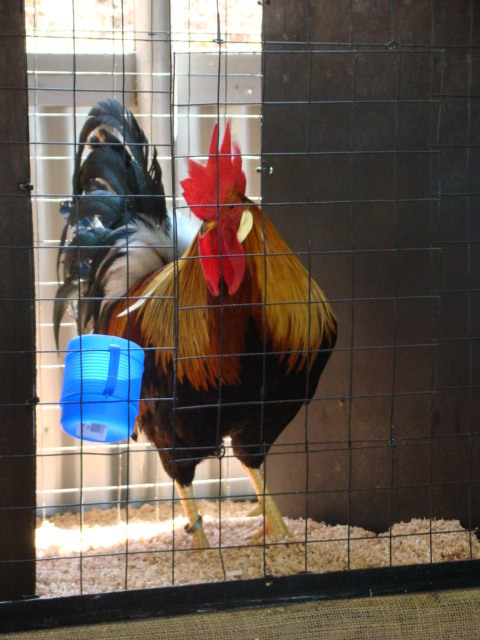 Buff Leghorns were first seen in Denmark in 1885, and in England in 1888.Over the years the Leghorn was developed and bred to suit South African conditions and requirements. The Leghorn in South Africa has evolved out of importations principally from England, Denmark, Australia, New Zealand and in later years from the United States of America and Germany (Italian).